Former No 1 Italian sire for gPFT for 7 consecutive proof runs! A breed leader in Europe, USA & Canada! Elite Production & Type specialist! Sound System is something special and significant given the fact that the Mirabell family is the result of 50 years of Italian selection with 16 generations reared on the farm. 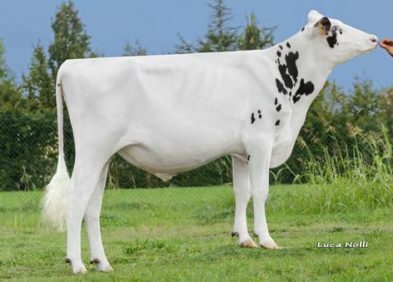 His Dam Mirabell Supersire Shana VG86 is backed by a deep Italian cow family of 8 generations of classified Dams. Sound System ticks so many boxes when analysing his individual traits. His solid linear suggests his calves will be strong and very correct. This no-fault sire is the talk of Europe, so don’t miss out on using this exclusive bull in your herd! He is perfect to use on Doorman, Atwood or Goldwyn bloodlines and will be suitable for a variety of management systems.